NASA joined the throngs of fans wishing "Star Trek" actor William Shatner a happy 80th birthday today (March 22) in the form of an online note to TV's original Capt. James T. Kirk. "We want to wish happy birthday to @WilliamShatner -- someone who continues to boldly go!" NASA told Shatner via Twitter, where the space agency posts updates as @NASA. Shatner starred as the iconic captain of the starship Enterprise in the original "Star Trek" science fiction series that ran from 1966 to 1969. He reprised the role in seven of the franchise's 11 feature films. 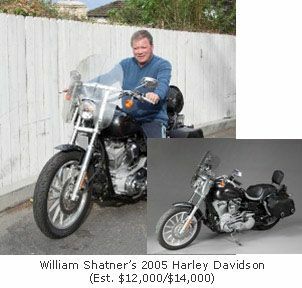 To mark Shatner's birthday, the actor's website teamed up with TrekMovie.com and ThinkGeek for an online video contest for "International Talk Like William Shatner Day." The winner for best video will receive a gold command-color Star Trek robe. "I wonder if I enter if I would win?" Shatner mused on his Twitter page. The theme song from "Star Trek" was one of two winning tunes played as a wake-up call for astronauts this month during the final flight of the space shuttle Discovery. Shatner recorded a special version of the show's original opening for the event. Several actors from the original Star Trek series have recorded public service announcements for NASA, and real-life NASA astronauts have appeared on some of the franchise's subsequent incarnations like "Star Trek: The Next Generation" and "Enterprise." Shatner currently stars in the CBS sitcom "$#*! My Dad Says."